The Manchester City coach is now being backed by key members of the club's hierarchy after Massimiliano Allegri pulled out of the running Mikel Arteta has emerged as Arsenal's primary target to become the club's new manager. The former Gunners midfielder, who currently works under Pep Guardiola as a coach at Manchester City , is now the frontrunner for the post after Juventus boss Massimiliano Allegri removed himself from the running . 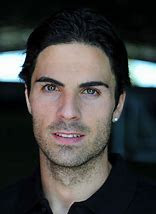 Allegri and Arteta were seen as the two leading contenders ahead of Arsene Wenger's final match in charge on Sunday, but it is now felt that it would be extremely difficult to tempt the former away from Turin. Instead focus is now firmly on Arteta, with chief executive Ivan Gazidis and head of football relations Raul Sanllehi - who has in turn warned the club off Luis Enrique following their time together at Barcelona - both now keen to appoint the 36-year-old. The potential appointment of Arteta is likely to signal the arrival of a whole new backroom staff at the Emirates Stadium, with stalwarts such as Steve Bould and Jens Lehmann unsure if they will be kept on under the new regime. Should they depart they would follow the likes of Colin Lewin out of the door, with the club's head of medical services having seen his 23-year tenure at the club ended on Monday among a swathe of changes to the club's support staff. Players have been left particularly shocked by the departure of Lewin, with a number of the squad particularly close to the 44-year-old. Such sweeping changes are part of an overhaul being overseen by Gazidis in the wake of Wenger's exit following 22 years in charge of the north London outfit. Gazidis himself has moved into a new office at the club's Colney training ground in a bid to mirror the approach taken by continental clubs and is actively looking to add a younger, potentially female face to the club's board. He will also play a major role in the club's recruitment process alongside Sanllehi, head of recruitment Sven Mislintat and Wenger's replacement.